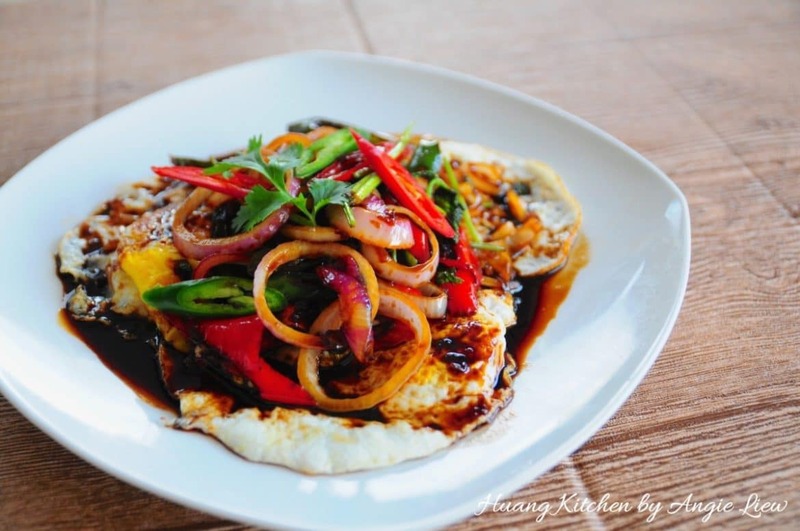 This is a simple Asian homestyle fried egg dish. 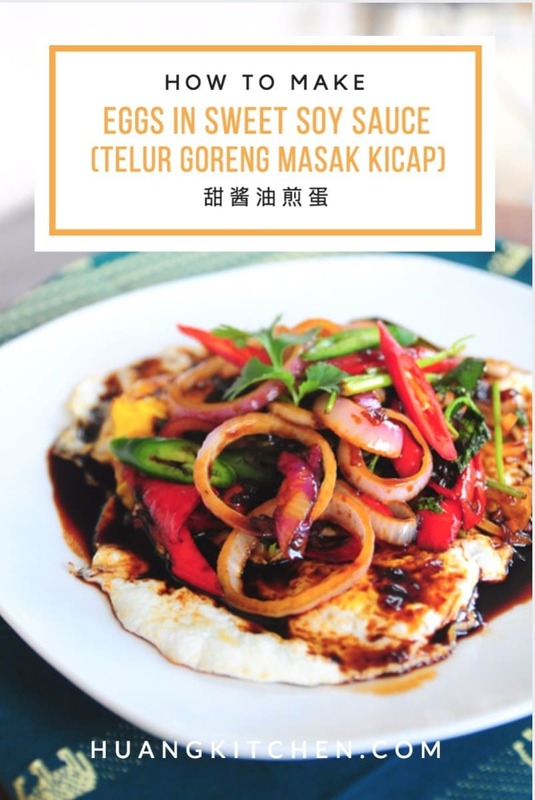 The eggs are first fried to perfection and then an aromatic spiced sweet soy sauce is drizzled on them before serving. The fried eggs itself is already so enticing as the egg whites are fried till the edges turn crunchy and the egg yolks are a crispy golden brown colour but still runny. 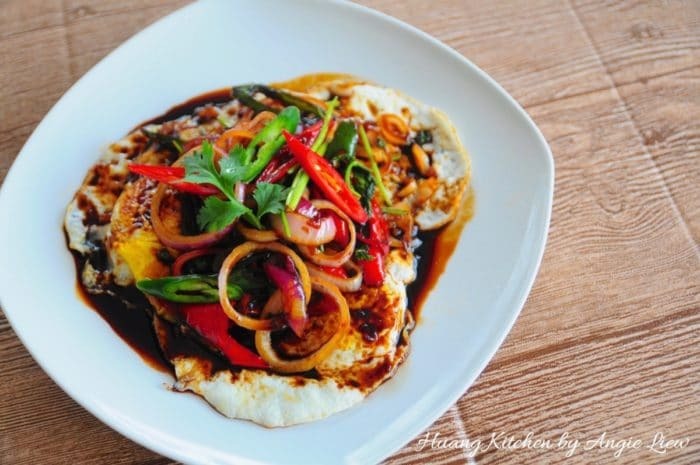 An Egg Dish That Tastes As Good As It Looks! Hence, when drizzled with the aromatic black sweet soy sauce, the fried eggs taste just amazingly flavourful. When served garnished, they do not just taste good but they look great too. Serve it with steamed rice and you have a quick meal on the go. Definitely a favourite for egg lovers and for those on the go, especially those who enjoy eggs with a little caramel on them. 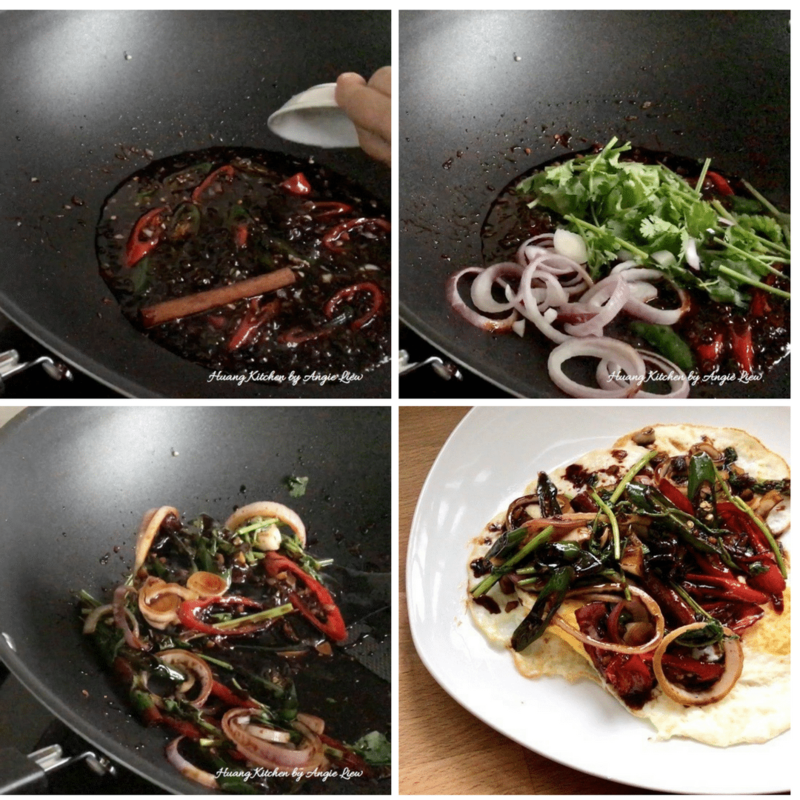 Eggs in Sweet Soy Sauce is a super simple yet delicious dish to make. 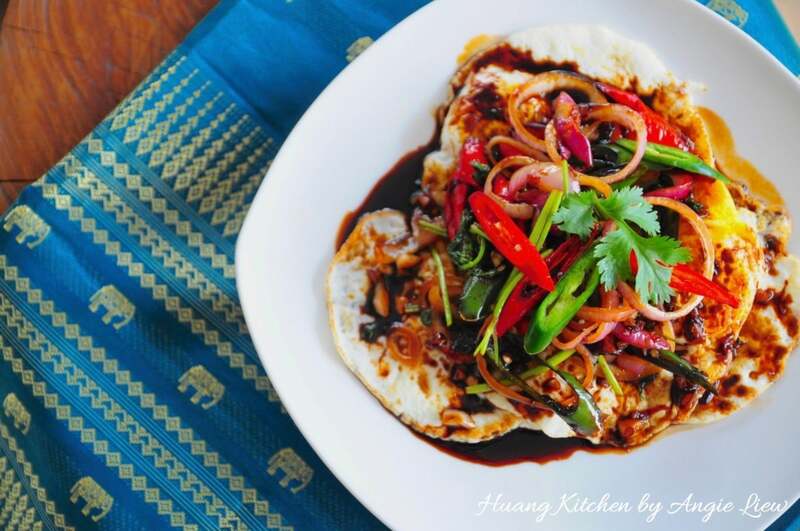 The best dish to prepare on a lazy weekend or busy weekday night! 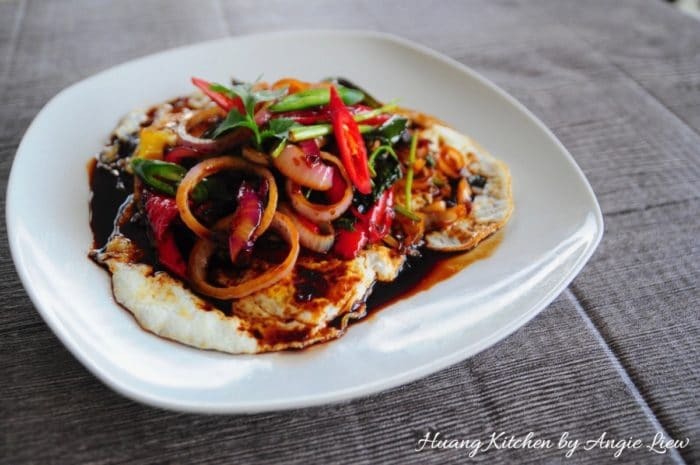 Sweet, salty with a little heat, this egg dish goes incredibly well with a bowl of steamed rice. First, mince garlic and shallots. Then slice thickly onion, red and green chillies. 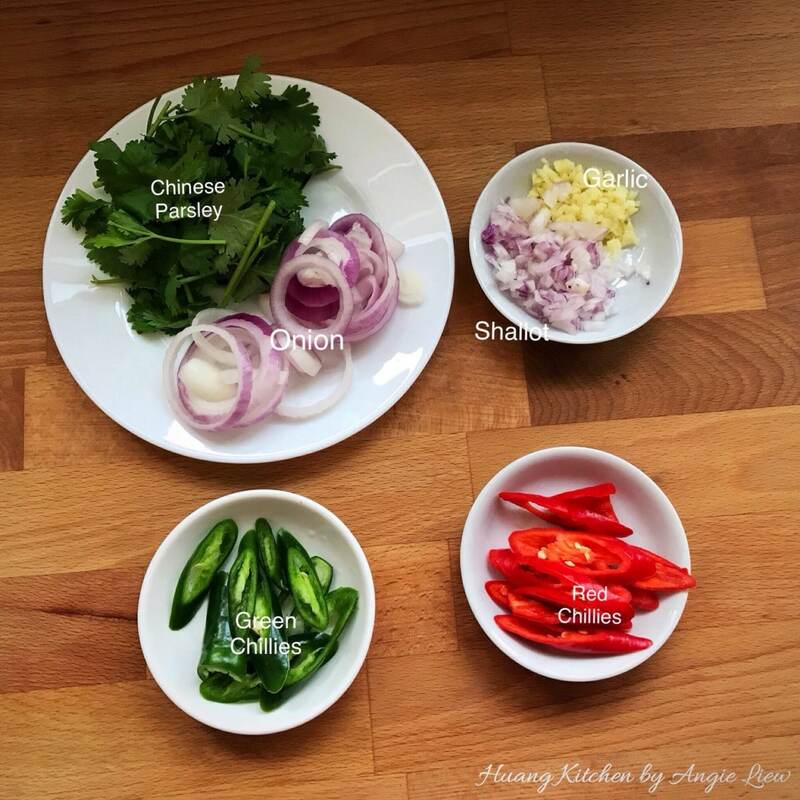 Cut chinese parsley into sections. Next, mix together all the soy sauce ingredients in a measuring cup. 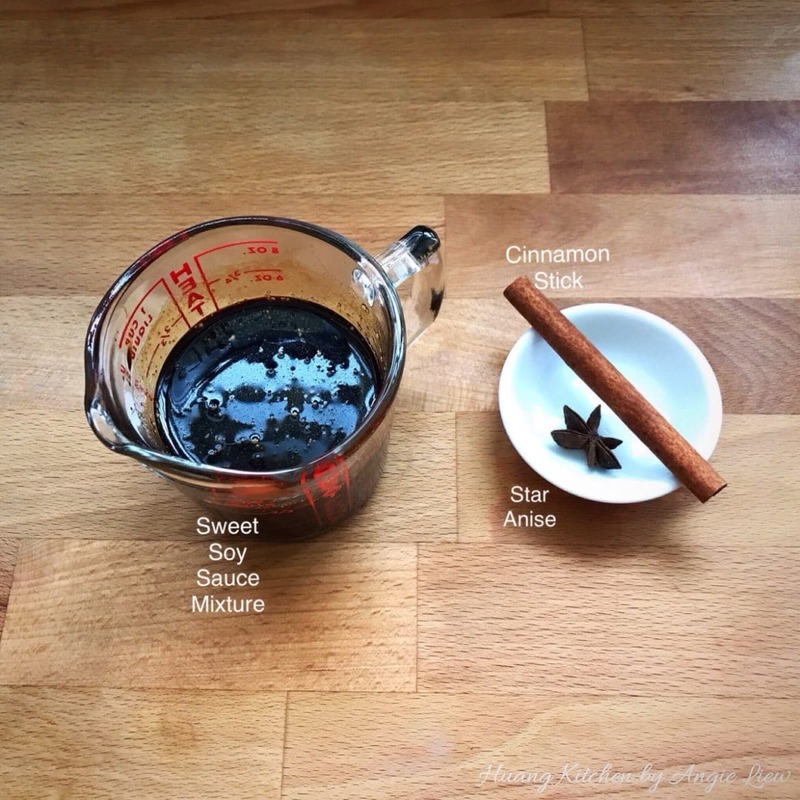 Also have ready a cinnamon stick and star anise. Then break 4 eggs, one at a time into a bowl. Heat up oil and gently fry the eggs, one at a time till the edges of egg whites turn crispy but egg yolk is still runny. Set aside the fried eggs on a plate and we're ready to prepare the sauce. First saute minced garlic and shallots till fragrant. Add in the sliced red and green chillies. Fry until softened. Then pour in the sweet soy sauce mixture and bring to a gentle boil. Then add in the cinnamon stick and star anise. Lastly stir in the sliced onion rings and cut chinese parsley. Mix well and we're done! Scoop up the cooked sauce onto the fried eggs. Serve immediately with some steamed rice and your wish for a quick meal is easily accomplished. Enjoy! Use super fresh eggs for this dish. Gently pour the cracked eggs (one at a time) into the hot oil. 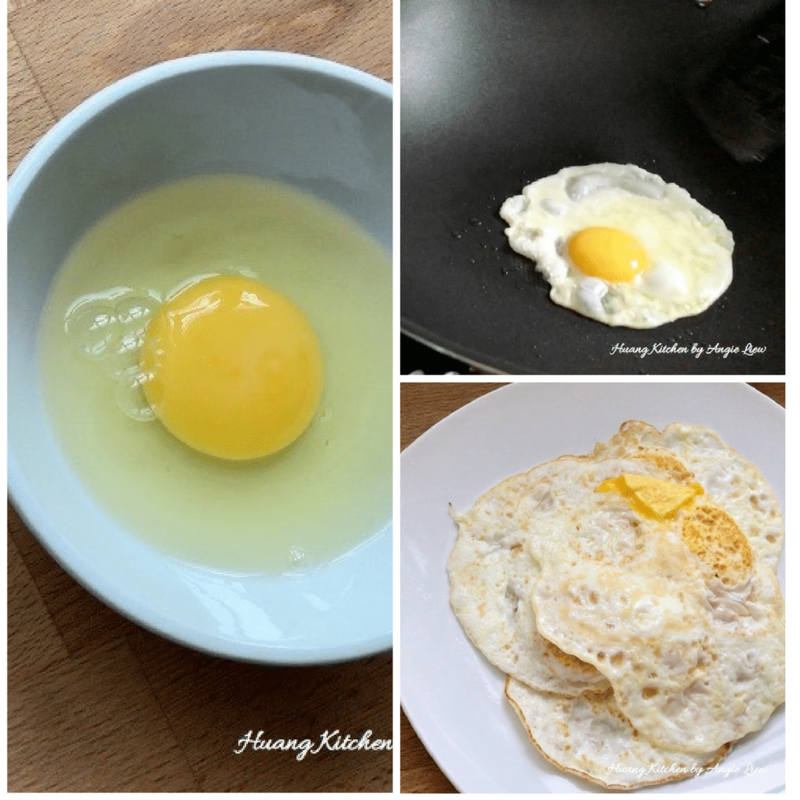 After frying for 1 minute, reduce heat to medium and continue to fry till the underside of the egg is firm and edges of the egg white turn crispy but the yolk is still runny. Carefully slide a spatula under the egg, flip and cook for a further minute till the yolk begins to thicken but still runny. 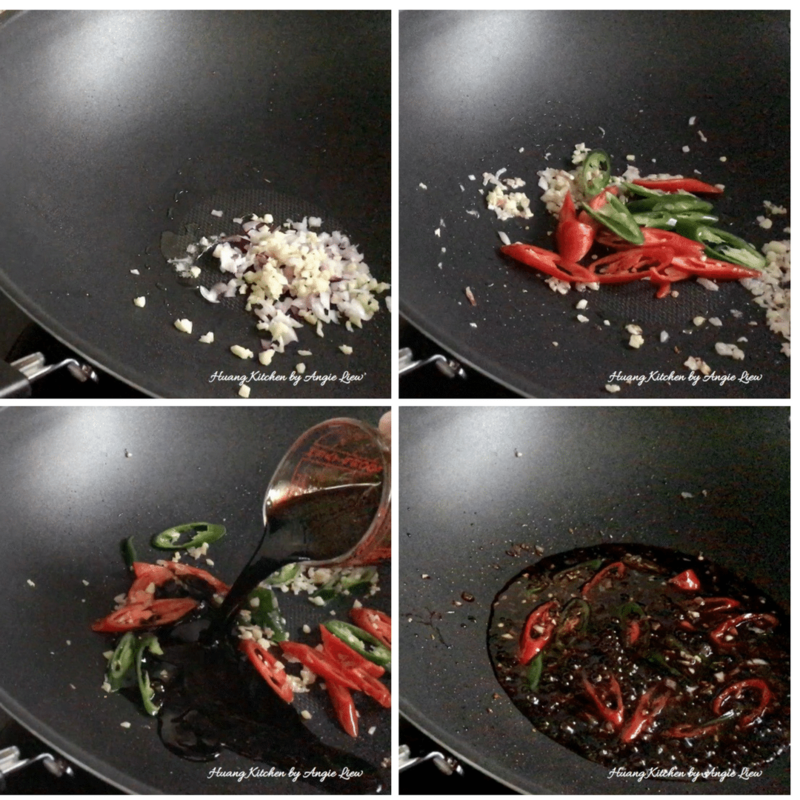 Then remove from wok and set aside.